A first grade girl was recently forced by the elementary school she attends to remove a line from a poem that she had written because it referenced God. 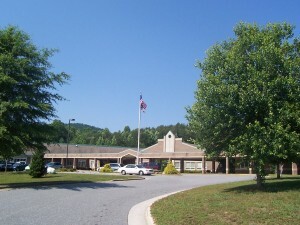 The unnamed girl attends West Marion Elementary School in Marion, North Carolina, and is six years old. The student was scheduled to have been a part of an assembly at her school that honored the nation’s military on Veterans’ Day. The poem that she had written was designed to be a special tribute to her two grandfathers, who served during the Vietnam War. “He prayed to God for peace; he prayed to God for strength,” the line read. According to reports, a parent of another student at the school somehow became aware of the girl’s intent to reference God in the poem and complained to officials about the matter. In response to the complaint, school officials told the girl to remove the line from her poem. However, Alliance Defending Freedom (ADF), a national legal organization that assists Christians whose constitutional rights are violated, believes that the school was wrong to force the girl to remove God from her poem. It sent a letter last Friday to both the elementary school and district officials, demanding that they cease and desist their actions. “[S]chool officials may not suppress or exclude the personal speech of students simply because the speech is religious or contains a religious perspective,” it continues. ADF legal counsel Matt Sharp likewise stated that students have a right to discuss their personal beliefs in school, including during assemblies. ADF has given the McDowell County School District until this Friday to agree to no longer suppress the religious free speech of students, and to adjust its district policy to ensure that such speech is subsequently protected.